Buying A Light Bulb Is So Simple. Right? For a couple of years, four light bulbs needed replacing in our house. Why wait a couple of years to replace light bulbs? I did not want to have to go to the shops multiple times to get new bulbs. I had done this for the past four years, and it was getting tedious as bulbs always seem to die when you don’t want them to. I wanted the new bulbs to die at the same time, so we did not have one working while the other wasn’t. The most important reason of all is I wanted to replace the bulbs with a LED cool white light. You see the bulbs that died were a warm white and other than the extractor fan in the kitchen there were no other warm white lights in the house. We had some cool white LED down lights in the living area, and I was impressed with how much light they gave out. As each bulb went out, I was getting closer to getting the type of light I wanted throughout the house. Like all things, though, after awhile I forgot about the replacing the bulbs. Instead, I complained about needing more light as I was not able to see properly. I had always blamed the orientation of house for the poor lighting as the house has an orientation that does not benefit from natural light. It didn’t occur to me to go out and get brighter light bulbs. When the time came to get new bulbs, I went in search for what I wanted. I was looking for a LED ‘E14 or SES screw’ bulb in cool white and shaped like a candle flame. I went to two specialist lighting stores, an electrical store, a large hardware store and a supermarket. None of these places had what I was looking for. The store staff were very helpful and tried to sell me other cool white bulbs that met most of my requirements except for being LED. A couple of sales assistant suggested I go for a compact fluorescent (CLF) bulb as it is energy efficient, available in the size and colour I want. The only disadvantage is it takes a little time to get bright. They were doing what they were supposed to, that is trying to get me to buy an alternative product. What they had wasn’t what I wanted. It wasn't a cool white LED bulb. The other set of bulbs I needed was a standard one. To be precise, it was an E27 Edison screw bulb. At least this was straightforward. I went off to the hardware store, showed a sales assistant what I wanted, an E27 LED Edison screw in cool white, picked up a couple of bulbs, paid and left the store. I wasn’t sure if the shape of the bulb was too big for the fitting. I had left the old bulb in the store, so couldn’t compare. Off I went back to the store, found the same sales assistant who retrieved the bulb from the bin. The ones I got were slightly bigger and looked like it would just about fit. So I kept the bulbs. As soon as I got home, the bulbs were screwed in, and they just about fit the wall sconce. It is a little snug, but it fits. We now have lovely cool white lights in the corridor. It's quite bright as I probably got a much higher wattage than needed but having been starved of light combined with a deteriorating eyesight and the house suffering from a lack of natural light, the brighter the light output, the better. As for the LED E14 Edison screw cool white bulb needed, my search turned to the internet. You may ask why I did not just search the internet rather than go to stores. Well, I did not know quite what I was looking for. When I searched online, there was wattage, lumens, output degrees and other things I did not understand. By walking into a specialist store, I was able to find out what things meant, giving me more confidence when searching and buying online. I always thought knowing the conversion from incandescent to LED wattage was enough. From trying to purchase a light bulb, it turns out it isn’t. In fact, it looks like things are now more complicated that they used to be with all the choice we have on the market and the speed at which things are progressing. 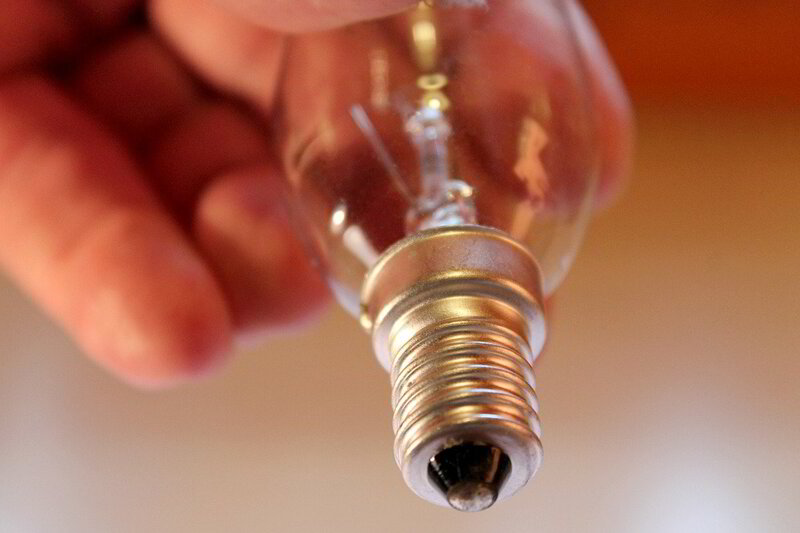 Here are the key things to know when buying an ordinary bulb. How many times have you gone to buy a bulb and not been certain what type of cap you need? Short of changing all the light fittings and lamps in your home to having the same cap fitting, you can either look at the cap fitting before you order a new bulb online. If you have a short-term memory, which let's face it most of us do for this sort of thing, take a picture of the cap fitting with a note on which light fitting it is for. Alternatively, if you are going to a store to get a replacement fitting because you want it now, take the old bulb with you. There are the one you need to push and screw into position. 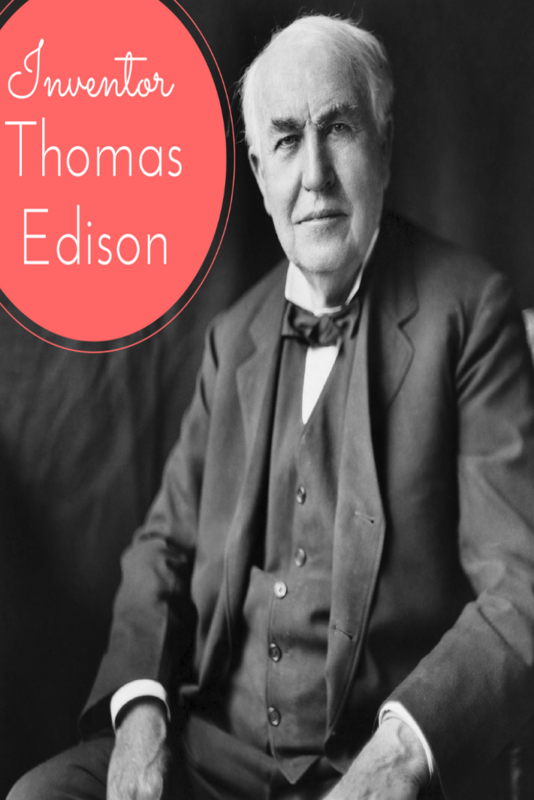 Named after Thomas Edison, light bulbs with this cap fitting are screwed into position in a light fitting. There are also light fittings for halogen capsules, halogen and LED spotlights, linear halogen capsules, fluorescent tubes, LED tubes, strip lights and compact fluorescents. The main ones to know about are the ones you have in your home. Which you can learn about as you need to. I knew what I wanted, just not what it was called. Luckily the supermarket had a simple guide on the shapes they stocked, and one of them was what I wanted. These were compact fluorescent bulbs that took about a minute to get to full brightness. Not sure why these are still sold as waiting for a minute to get to full brightness seems like an eternity. An energy saving bulb like spiral bulbs that comes in an elongated shape rather than the pear or spiral shape more commonly seen. The final option and the one I wanted. The candle shape, so called as the shape resembles the flame of a candle. These were the options available in the supermarket when I was looking for the elusive LED ‘E14 or SES screw’ bulb, in cool white. The final piece of information given by the supermarket was the bulbs watts. They had a useful chart that converted the old watts system to the new. It wasn’t until I saw this chart that I started to realise why the watts had changed. That is to say; we are now able to use less energy to get the same amount of brightness. I felt confident and grateful to the supermarket for laying out what you need to know to buy a bulb, even though they did not have the one I wanted. With my new found knowledge, I went to a specialist store and asked for the LED ‘E14 or SES screw’ bulb in cool white, and he looked a little perplexed. As it turns out, by saying I needed an E14 or SES screw bulb in cool daylight, I was repeating myself. As the last 'S' in 'SES' stands for screw. So I was saying I needed an ‘E14 or Small Edison Screw Screw bulb in cool daylight’. After that little bit of confusion, he informed me he didn’t have it in stock and looked in some catalogues and online at a manufacturer's site to see if they had it as an option. Lumens! What is a Lumen? As it happens, using watts on its own to determine how bright a bulb is going to be is not the sole element to look at. Lumens, which measures the total quantity of visible light discharged should be taken into account as well. So, a low watt light can have different lumen values. This measurement is even more important with LED lights as opposed to incandescent light bulbs. So, even though the supermarket table that converts incandescent watts to energy saving watts was useful as a guide, as I was specifically looking for an LED bulb, I needed to look at lumens. Here is an approximate guide to use, to determine how bright an LED light is going to be in relation to the old incandescent bulbs. This is the advantage of speaking to a specialist when buying something you are uncertain about, as they can quickly tell you what you need to look for before making a purchase. Buying a bulb is no longer an easy task. The cap fitting is no longer the biggest issue faced with. 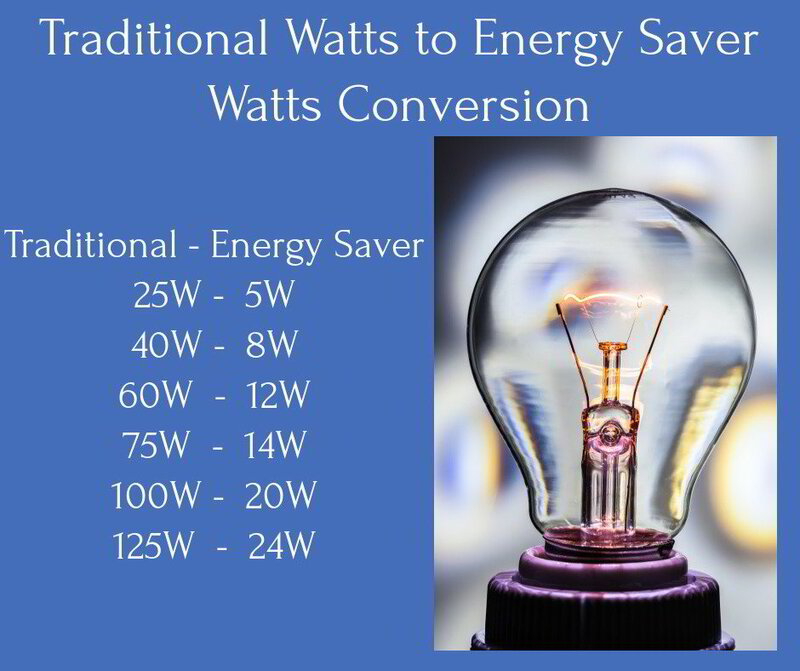 Type of bulb, traditional or energy saving, the new watts system teamed with lumens, especially when buying LED lights, shape of bulb and colour of the light are all decisions that need to be made before going into a store. I finally found the elusive LED E14 or SES bulb in cool daylight online, and as I read the description, I was able to understand the terminology used and placed an order on the spot. Now, I have the bulbs I wanted for the light fixture above the breakfast bar. Next lighting challenge is to replace the fluorescent mushroom ceiling lights we have in the house with the LED version.